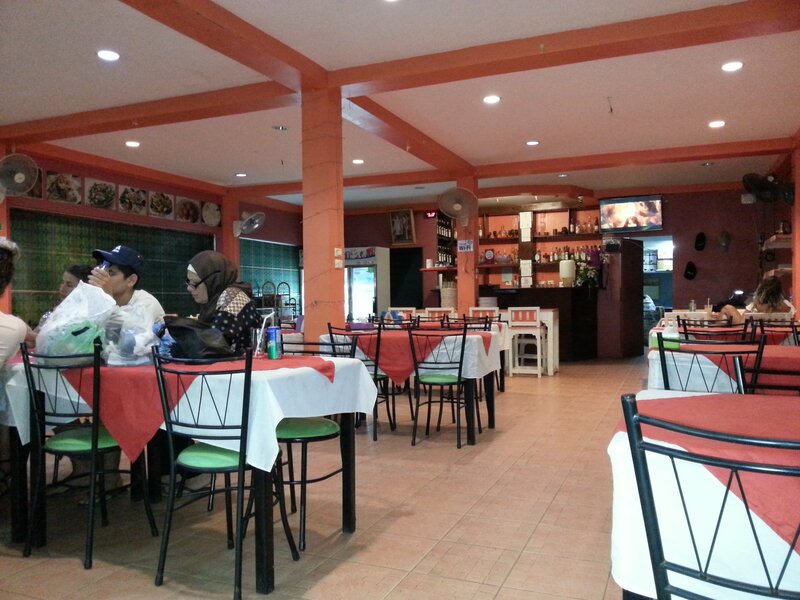 The Maharaja Restaurant is a British Indian style restaurant in Ban Saladan, which is the main town in Koh Lanta. The Maharaja Restaurant is the best known Indian restaurant in Koh Lanta and often features in top ten lists of the island’s best restaurants because the Indian food here is good, although the restaurant dining area could be better decorated. The Maharaja Restaurant is on a busy street in Koh Lanta opposite the night market The location is both a good and a bad thing for this restaurant. The good part of the location is that plenty of people walk past the restaurant, the bad part of the location for the owners of the Maharaja Restaurant is the food stalls in front of the restaurant sell food for a fraction of the price it costs to eat in the Maharaja Restaurant. The Maharaja Restaurant has a small amount of outdoor seating and the capacity to seat together large groups inside. One noticeable thing about the Maharaja Restaurant is that large groups of Indian, Pakistan and Malay come to eat at this restaurant which a good sign as the style of food served is similar to the cuisine of their home country. 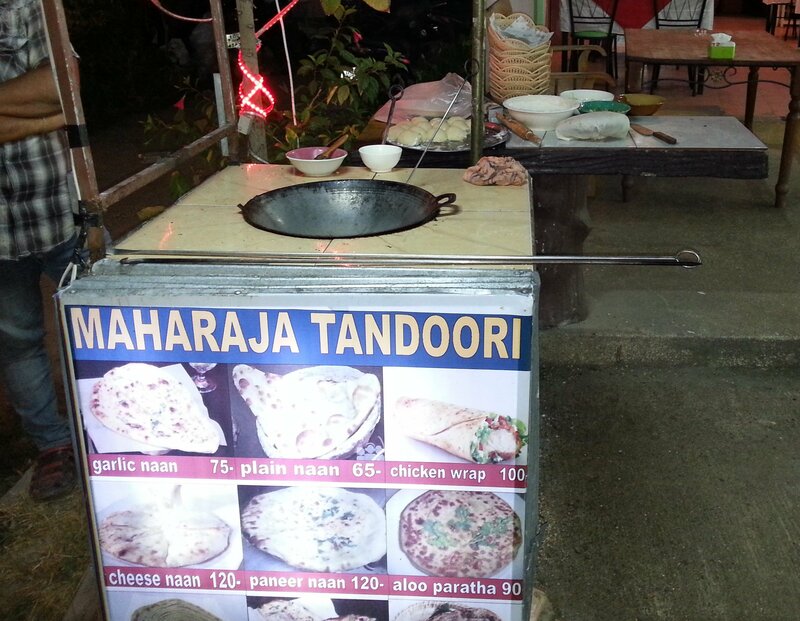 The Maharaja Restaurant’s major selling point is its tandoor oven, which they wisely display in front the restaurant. The Maharaja Restaurant is one of only a small proportion of the Indian restaurants in Thailand which actually have an authentic tandoor oven and this means they can cook Indian breads like naan and tandoori meats effectively. Whilst its perfectly feasible to produce good Indian food without a tandoor oven such a restaurant will also fall down on being unable to produce a good quality version of any food item that needs to be cooked in a tandoor oven and that means poor quality naan bread. The naan bread at the Maharaja is good. The Maharaja Restaurant does a full range of vegetarian and non-vegetarian dishes, starters, and tandoori dishes. A whole tandoori chicken costs 400 THB and the mixed tandoori platter costs 700 THB. From the starters we recommend trying the onion bhaji at 100 THB which is difficult dish cooked perfectly at this restaurant. The main curry dishes at the Maharaja Restaurant are priced at around 250 THB per dish. 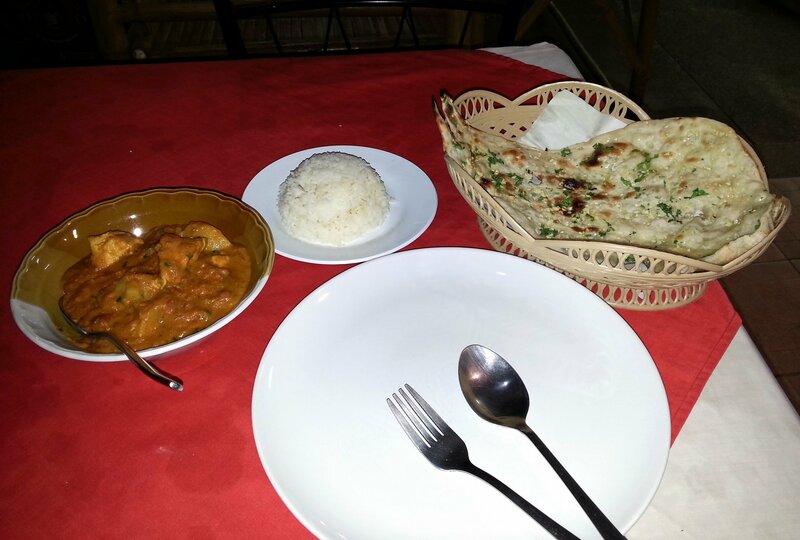 The chicken vindaloo pictured above cost 250 THB, the rice cost 30 THB and the garlic naan bread cost 75 THB. The chicken vindaloo I gave a 6 out of 10 to, which is a rating in comparison with British Indian restaurants which set an internationally recognised high standard for Indian cuisine. I enjoyed the food and I will eat there again. 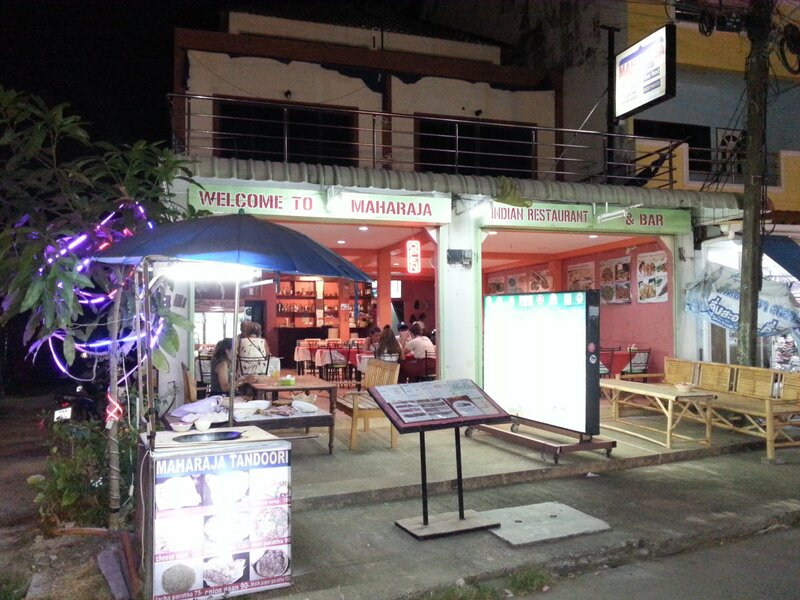 The Maharaja Restaurant is located 400 metres walking distance from Saladan Pier.